From Ancient Greece we move forward about 500 years to Ancient Rome. There are many details before even reaching the main scene with characters. 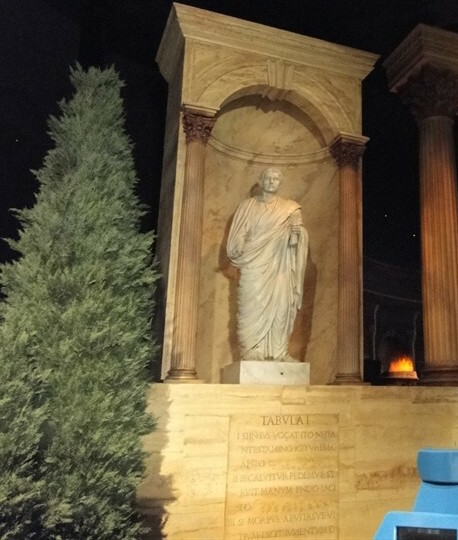 The first thing we see after leaving Greece is a marble statue of Augustus (63 BC – AD 14), the first Roman Emperor. Augustus had ended 100 years of civil war and achieved over 40 years of internal peace and prosperity but his story makes the current politics look like child’s play. 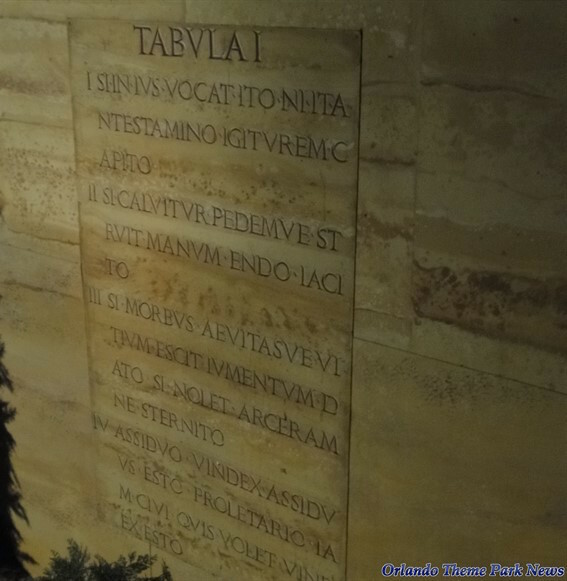 The inscription at the bottom of the statue comes from the first of The Twelve Tables of Roman Law that were codified about 451 B.C.E. and were regarded by later Romans as the foundation of all their laws (3). The first table is about Proceedings Preliminary to Trial (1). 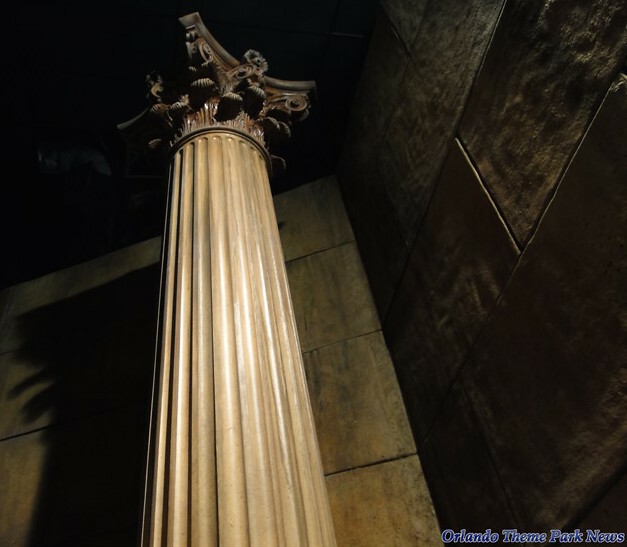 The columns on the statue and in the building for the scene have evolved from the previous doric order greek columns to the Composite order – a combination of Ionic (volute – spiral, scroll) order and Corinthian (acanthus leaves) order styles. As every version of the narrations describe, Rome created a mighty and vast system of roads. The network of roads are depicted in the background of the scene and appear as a web. At first roads in Italy and Rome to supply the food and materials for the city, but these were not planned and likely not paved. Later, roads we planned and paved for political and military reasons (4). The network of roads was vital to enabling fast army movements and stimulating trade. The roads were also built for professional couriers and some governors assigned soldiers to send official messages (4). Based on the language in the inscription below the statue, I wonder if this scene takes place in front of a Roman Courthouse. 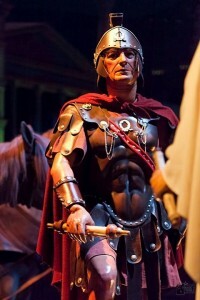 We clearly see a centurion based on the classic wardrobe who is meeting with a Roman Senator. 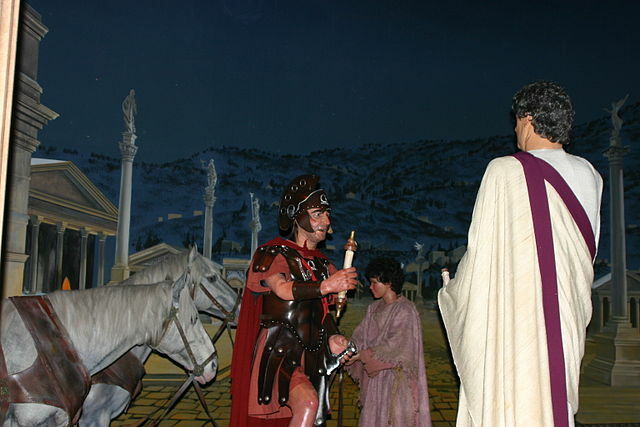 We know he’s a senator from the toga he is wearing – Toga praetexta – this toga featured a wide purple border that denoted the wearer was a Senator or some type of Magistrate (2). There is a third man in behind who is tending to two horses that carried the centurion’s cart. 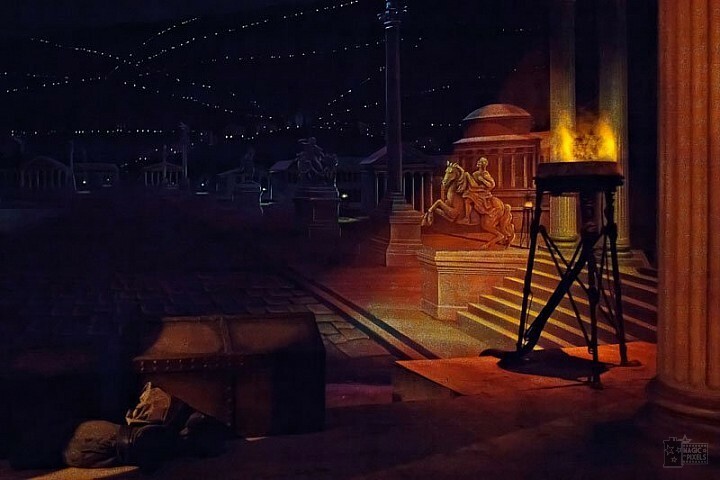 On the network of roads there used to be an animated chariot projected on the road. This image below shows that part of the scene before it was removed around 2007. For years I would turn around in my time machine after passing just in case it reappeared, but its never come back. It was a simple effect that added something special – a detail I wish remained. Because animatronics are complex, time intensive to create, and expensive – its common to duplicate the models that are made and dress them differently. 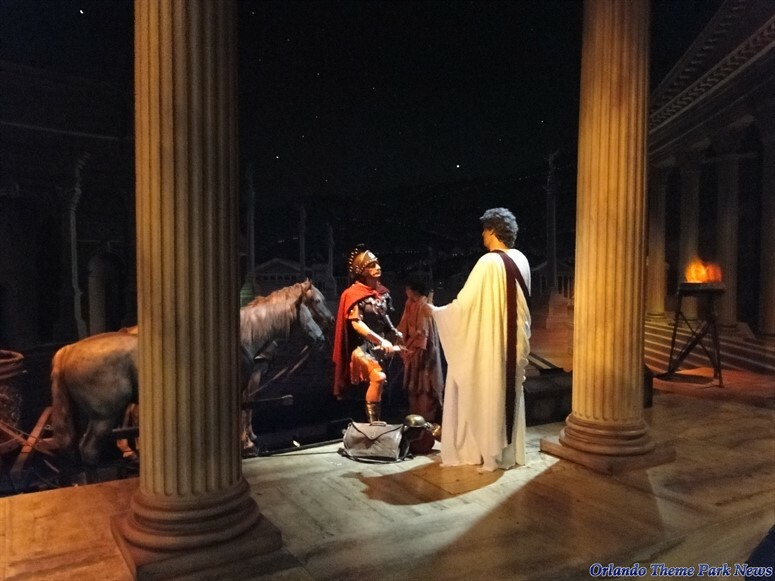 In this scene – The Roman Senator is said to also be the Teddy Roosevelt from the Hall of Presidents (although this isn’t as easy to verify) (3). 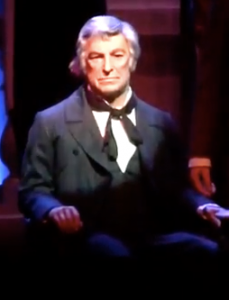 In addition, the Centurion is said to also be Zachary Taylor from the Hall of Presidents (3). With lessons learned from the Greeks, the Romans create a powerful empire. To move their armies around, they build a system of roads all over the known world. Rome built the first world wide web, and it’s leading us into the future. The mighty Roman empire bridged three continents with a vast system of roads; the fastest information highways the world had ever known. East, west, north, and south – all roads led to Rome. The Romans build a mighty system of roads – a long distance network to carry laws and tidings over a far-reaching empire. North, south, east, and west, all roads lead from Rome, a mighty network reaching across the land, welding far-flung garrisons into a growing empire.